Disordered Eating feels like Controlling Chaos! Could you Benefit from Eating Disorders Therapy? Does your relationship with food and your body feel crazy, out of control and consuming? Do you obsess about what to eat, how to eat, how much to eat, or even why you should eat? Does the number on the scale, or the size of your pants dictate how you feel about yourself or whether or not you are allowed to fully engage in life? Are you in a constant cycle of restricting, craving, bingeing, purging, guilt-tripping, then repeating…? Has your weight loss or weight gain become so extreme that your health is in danger? Do you use food as a means of coping with uncomfortable emotions? Do you eat when you are not hungry, or do you stay hungry when you need to eat? 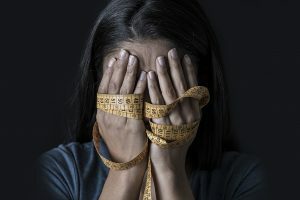 Anorexia Nervosa is characterized by a persistent restriction of food intake that leads to a significantly low body weight, a disturbance in the way one sees and evaluates their body and an irrational fear of weight gain. Bulimia Nervosa may be diagnosed when someone engages in recurrent episodes of out-of-control binge eating that is compensated for by purging behaviours that may include self-induced vomiting, abuse of laxatives, diuretics or diet pills, fasting or excessive exercise. These behaviours occur at least once per week over at least three months. Struggles with Bulimia also involve harsh judgement over physical appearance. 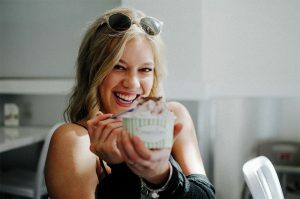 Binge Eating Disorder shares with Bulimia the behaviour of out-of-control, often rapid, and excessive overeating that leads to great feelings of discomfort and distress. However, there isn’t the accompanying use of purging to compensate. Binge Eating Disorder often co-occurs with depression or anxiety. Avoidant/Restrictive Food Intake Disorder (ARFID) may be suspected when someone fails to meet their appropriate nutritional and/or energy needs through only eating a very limited selection of foods. It may lead to significant weight loss, nutritional deficiency or extreme interference with psychosocial functioning. The avoidance is not due to lack of food availability, medical condition or culturally sanctioned practices. Healthy Eating feels like Freedom! Recognizing that your Eating Disorder has served an important purpose in meeting your unmet needs, but it is no longer serving you well. Eating Disorder counselling is all about gently and gradually letting go of your familiar, but destructive habits and growing into new and healthy behavioural pattens. Eating Disorder Therapy will help you to accept and love your body and nourish both your body and your life in ways that are truly filling. Cognitive Behavioural Therapy will assist you to become aware of your limiting beliefs, analyze if they are useful to you, and assign new ways of thinking that allow healthier feelings and actions. EMDR may be a tool that we use to help you let go of old traumas or triggers that have kept you locked into disordered eating to cope. Clinical Hypnosis can be very helpful in establishing healthier emotional management skills and powering up your mind’s ability to reach goals. Mindfulness Meditation practice will encourage greater self-acceptance and self-compassion, as well as a much greater ease in tolerating uncomfortable feelings and situations. Positive Psychology Coaching will guide you through developing new lifestyle habits and strategies to meet your goals for healthy living. Phototherapy is a highly effective, yet unique, approach to exploring the power of photos and photography to heal your body image and look at your life from a new perspective. Let go from the tyranny of Eating Disorders and treat yourself to a full and nourishing life! Take the first step. You are worth it! 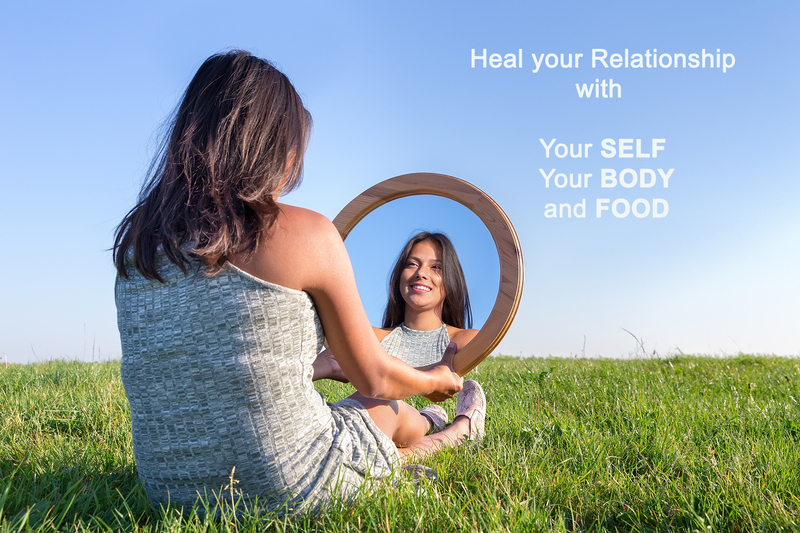 How to Heal your Relationship with Food and your Body.